Today I’m going to share a very special recipe of a fish. The fish is very popular in India; but a few know that it is also very popular in European countries! 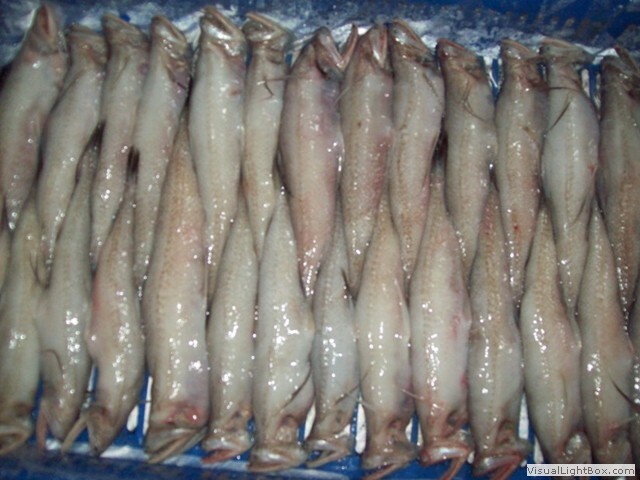 Not only that, the fish was the cause of a big movement in United Kingdom, called "Save Bombay Duck". 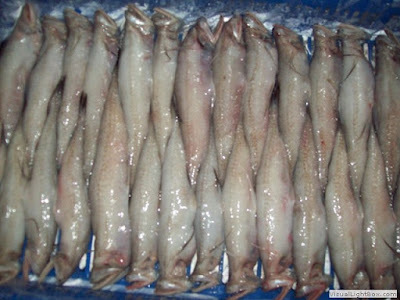 Yes, it is our very own Bombay Duck or Bombil or Loytta fish! According to local Bangladeshi stories, the term ‘Bombay duck’ was first coined by Robert Clive, after he tasted a piece during his conquest of Bengal. It is said that he associated the heady smell with that of the newspapers and mail which would come into the cantonments from Bombay. The term was later popularized among the British public by its appearance in Indian restaurants in the UK. 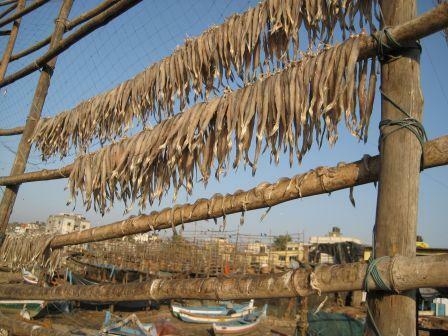 But, in 1997, Bombay duck was banned by the European Commission (EC). This was because the EC prohibited fish imports from India other than from approved freezing and canning factories, and Bombay duck is not produced in a factory. 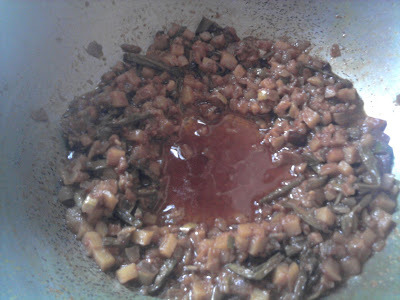 Garlic Past – 2 tbsp. Clean the Bombay Duck & marinate with salt & turmeric. 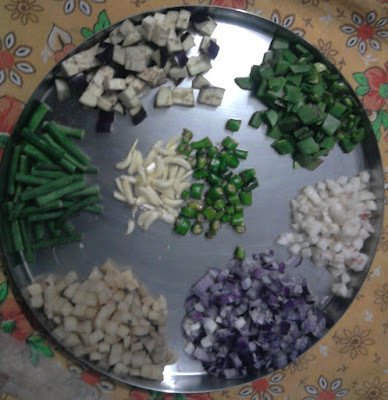 Cut all the vegetables in small peices. Heat oil in a pan. Fry all the vegetables separately with pinch of turmeric powder and salt. Drain the oil and keep them aside. 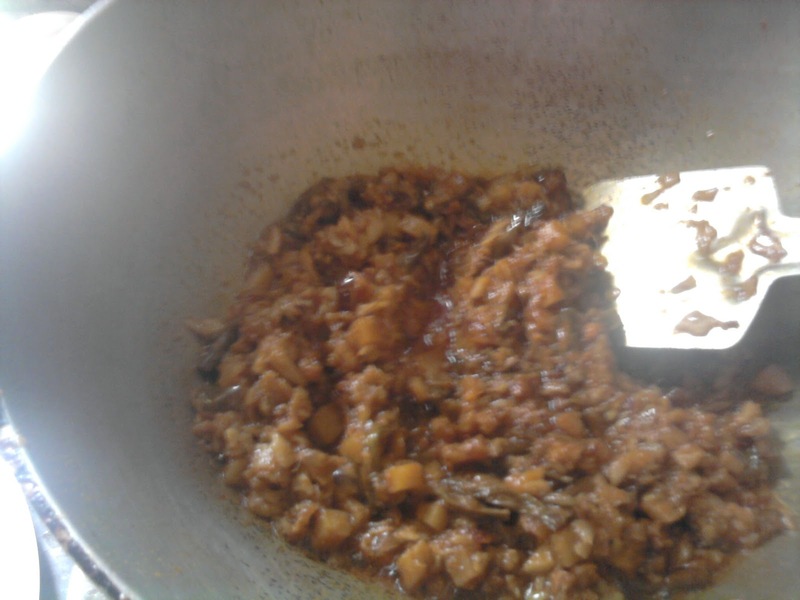 In the same oil, add chopped Onion and fry till it becomes golden in color. Now, add garlic past, green chilies and saute well. 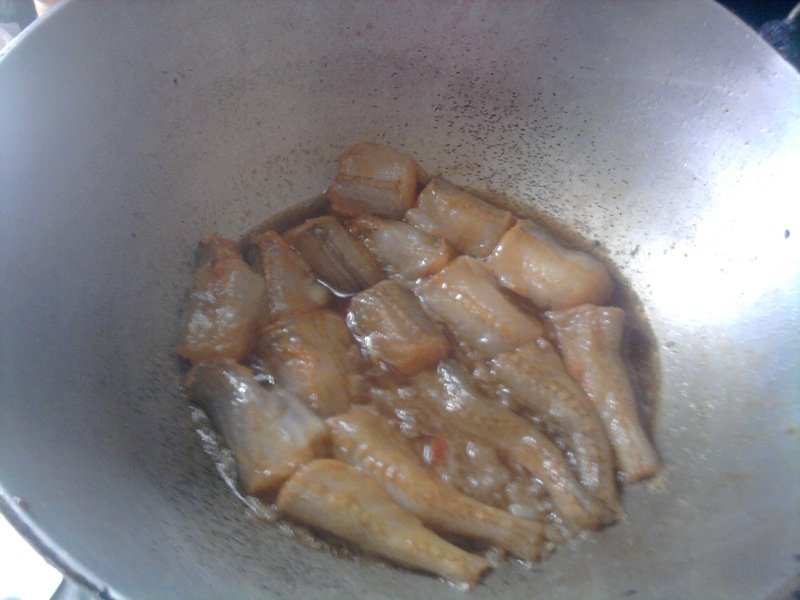 Add the fishes one by one to itand cover the pan for 3-4 min. Open the lid and take the fishes out of the pan. 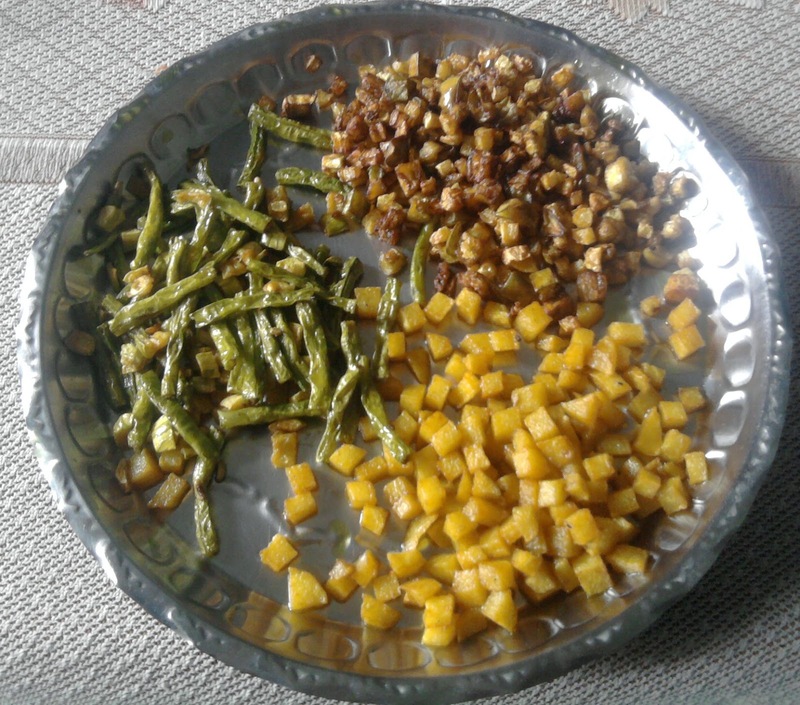 Now add the fried vegetables, turmeric powder, chilli powder to the pan and mix very well. Add little of water, if need. Cover again for 3-4 min. In the mean time, remove the fishbone from the fishes. 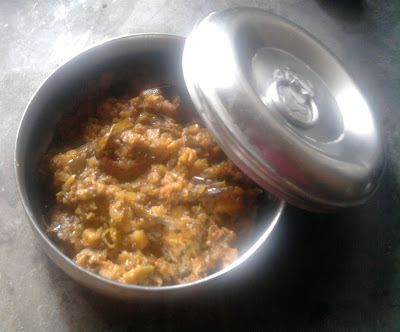 Now, open the lid and move the vegetables and make a place in middle. Put the fishes in this place. Then cover the fish with cooked vegetables. Cover it again for 3-4 min. 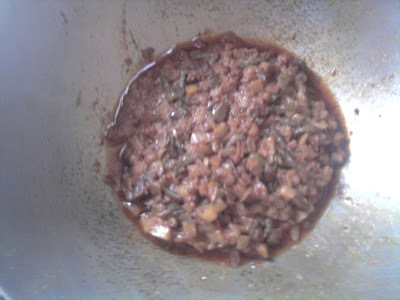 After the time, open the lid and mix the fishes with vegetables. Stir continuously. Take the flame off when the curry becomes dry and separates oil. 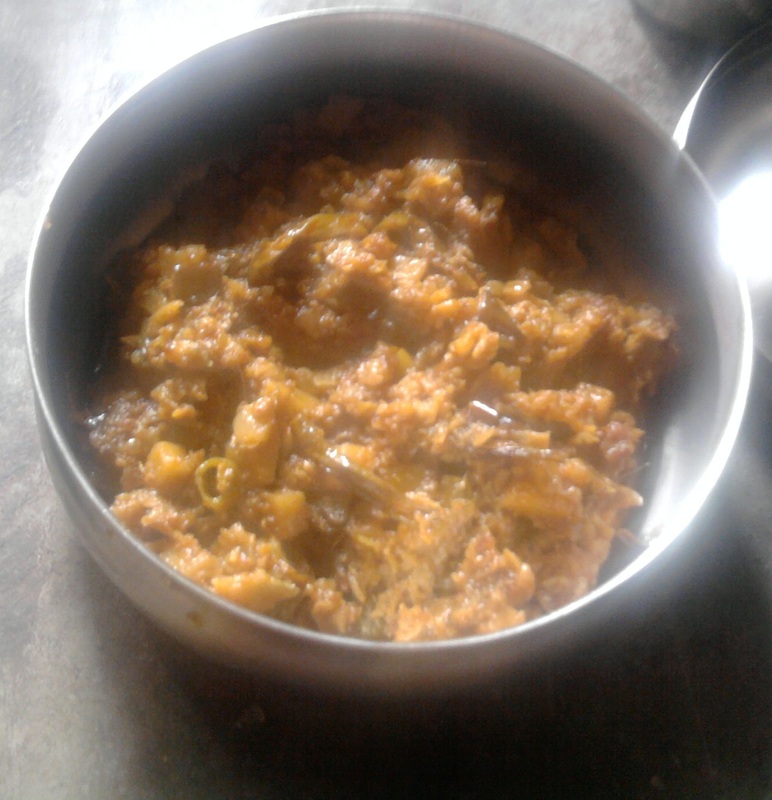 Serve hot with smoked Rice or Roti. *Adjust the measurement of chilli and garlic as per your taste. **You can add more vegetables in it.